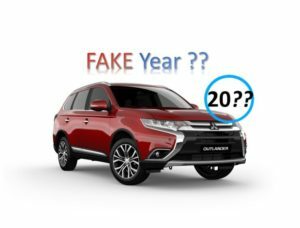 The Japanese import false km trick of winding back the odometer to show a lower km reading is one of the oldest in the “Book of Dishonest Car Dealers”. This allows them to buy a car cheaply, pay less in import taxes, and sell it for a much higher price than it is really worth – thus maximizing THEIR PROFIT at YOUR EXPENSE. When advertising the car they will often support this lie by presenting you with a falsified auction report which has been digitally altered – like this example where the 1 has been removed, quickly changing 146,403 km to 46,403 km. 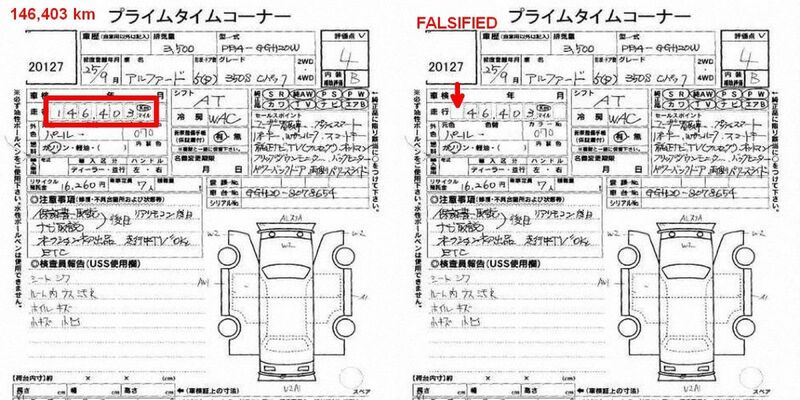 When running this false km scam dealers most often target clean cars with high kms that are only a few years old, like the grade 4 B Toyota Alphard here – where 46,000 km seemed perfectly reasonable for a Japanese car of its age at the time. 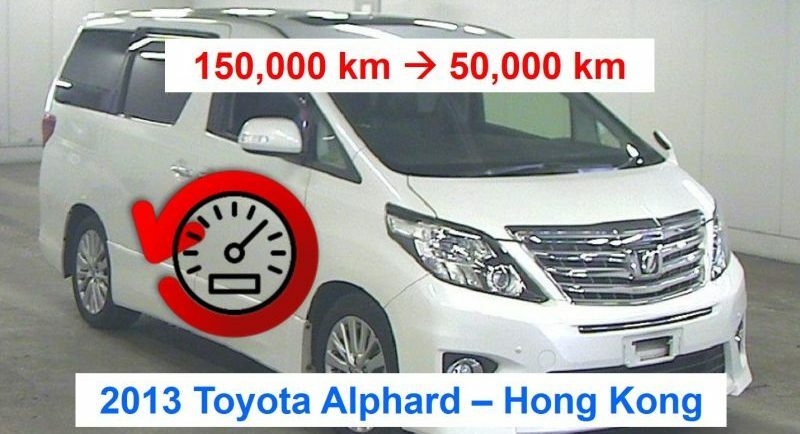 This REAL EXAMPLE was being sold at a Hong Kong “carpark supermarket” – where odometer tampering is so common that of the 9 different Alphards & Vellfires we checked for this SAME client – ONLY 1 had genuine km. 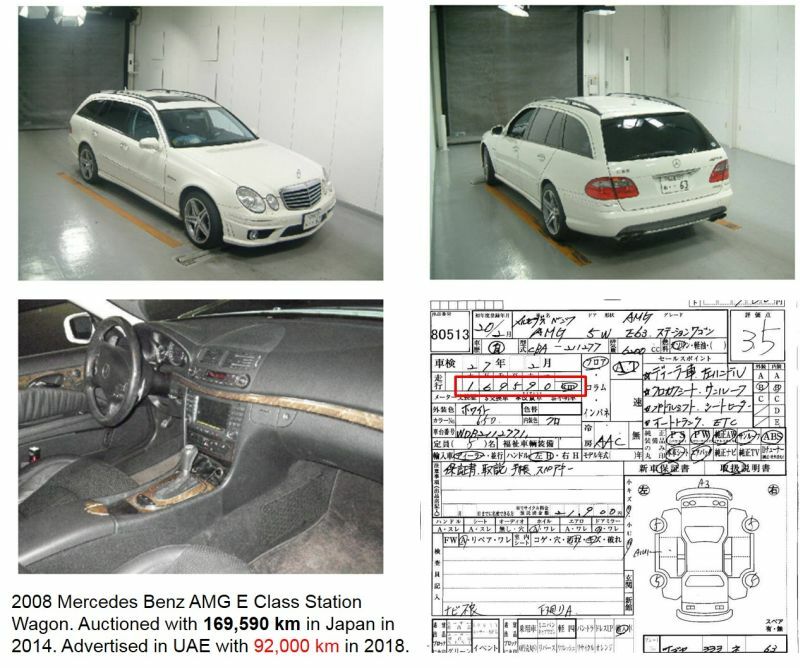 Here’s another example, a rare 2008 Mercedes Benz 6.0L AMG station wagon which was auctioned in Japan with 169,000 km in 2014, then imported to the UAE in 2018 and offered for sale with 92,000 km. Given the 4 years in between, the odometer was probably wound back over 100,000 km. 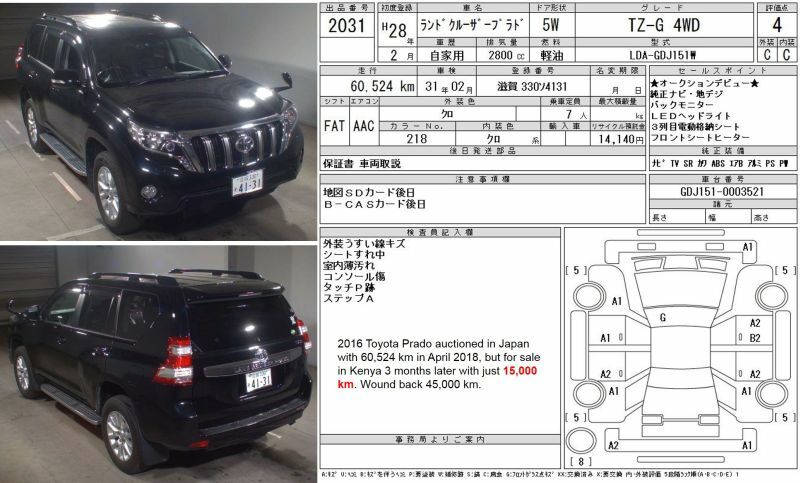 The 2016 Toyota Prado below was auctioned in Japan with 60,524 km in April 2018, but offered for sale in Kenya 3 months later with just 15,000 km –> odometer wound back 45,000 km. This illegal activity continues worldwide thanks to poor regulation and absence of data-sharing between countries. False km hotspots include – USA, UK, Malaysia, Hong Kong, Australia, Canada, UAE, Caribbean, Myanmar, Suriname, Africa, Singapore, Pakistan, Bangladesh & India. 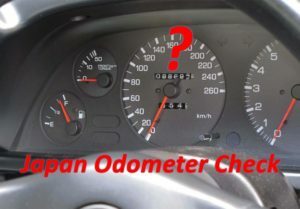 A shocking 80% – 95% of Japanese imports in these countries have the odometer wound back and / or accident or other damage concealed when sold. 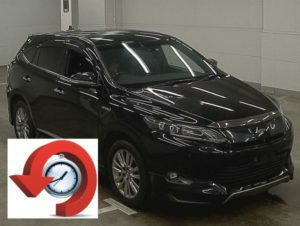 Passenger cars < 3 years old are a prime target for odometer wind back as the km ARE NOT SHOWN on the Export Certificate until after the first re-registration inspection, making it easy for the seller to deny knowledge and avoid legal risk in their own country. 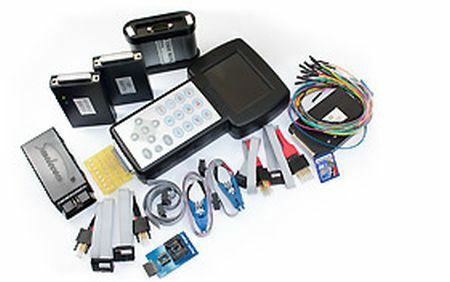 When found out, they typically blame it on the Japanese exporter that sent them the car – when in fact it was done either in Japan by their supplier at their specific request, or in their very own workshop using inexpensive digital tools available online. We often see cars under 3 years of age wound back 50,000 – 100,000 km & presented for sale with < 10,000 km (most common in Malaysia, Hong Kong & Australia). The only way to check the real km is to obtain the auction records, and for just 40 USD our Basic Report can SAVE YOU BIG TIME. The auction records can quickly identify a mismatch in mileage plus highlight other areas of concern that the seller may be trying to hide – allowing you to make an informed choice. Basic Report data typically includes auction location, date, condition grade, pictures 1 & sale price 2. 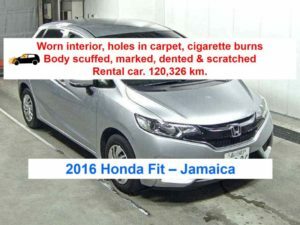 Detailed auction inspector notes (in Japanese) may state extras fitted, odometer replacements & total kms, extent & details of past repairs, repaint, rust, dents, scratches, interior & body condition. Seller sales points may note positive features & options. 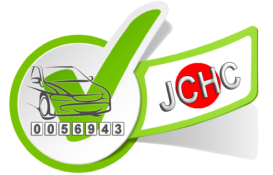 Of course, we can always upgrade to a FULL History Check later if you would like further information (such as past registration dates & km readings) to provide a more complete picture of the vehicle’s Japanese history. 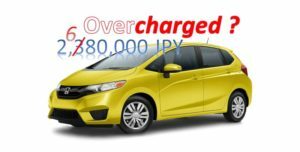 We have auction records covering most cars auctioned in Japan since 2007 and can match past auction records for your vehicle using the Japanese chassis code (VIN). 1 Auction pictures included for most vehicles from 2011 onwards. 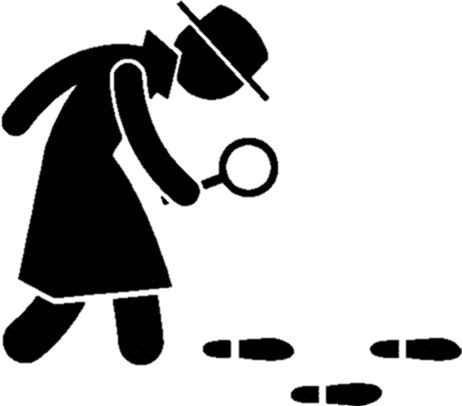 2 Auction sale price available in 60% of cases – depends on auction & time period.